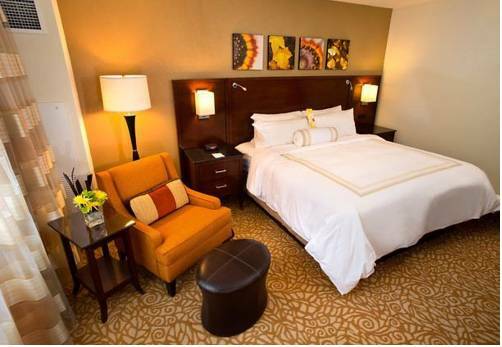 Featuring an on-site restaurant and indoor pool, this Milwaukee hotel is 1 mile from the scenic Lakeshore State Park. Each guest room is equipped with a 36-inch flat-screen TV. 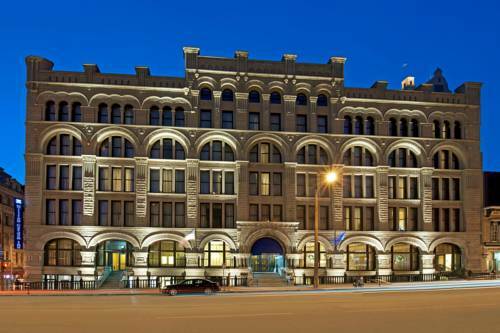 Three blocks from Lake Michigan, this 4-star hotel in downtown Milwaukee is a 10-minute walk from the Milwaukee Art Museum. It offers a full-service spa, salon and Victorian art collection. 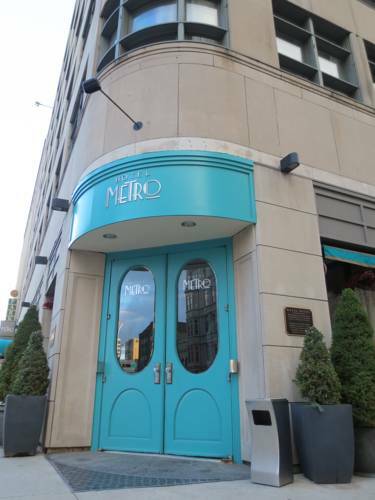 Centrally located in downtown Milwaukee, this historic Art Deco inspired hotel is 15 minutes' walk from the Milwaukee Art Museum and Lake Michigan waterfront. 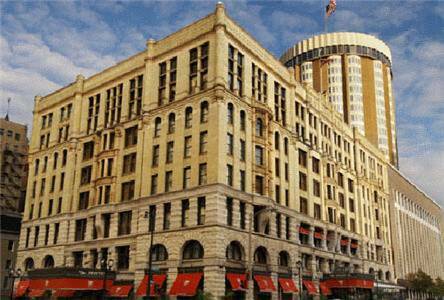 Located in the heart of the Milwaukee city centre, this hotel offers spacious rooms with free Wi-Fi and large flat-screen TVs. A modern fitness centre is available on site. 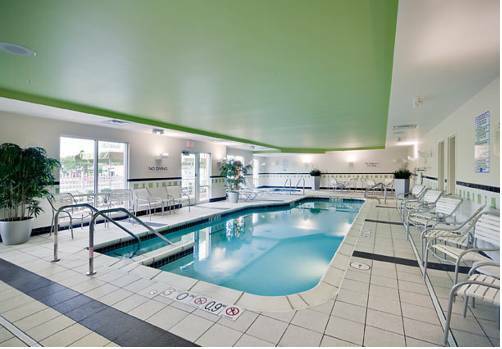 This Milwaukee hotel provides free access to its state-of-the art gym and features rooms equipped with free Wi-Fi and an iPod docking station. General Mitchell International Airport is 11 miles away. 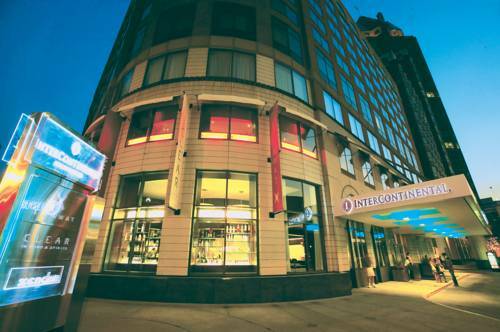 Centrally located downtown along the Milwaukee RiverWalk, this elegant hotel is connected to the Shops of Grand Avenue. The all-suite hotel features free Wi-Fi and rooms with city views. 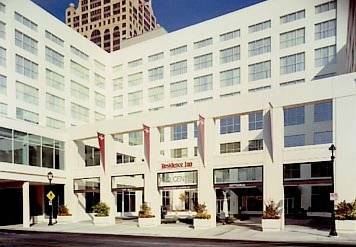 Situated along the River Walk, this hotel is located in downtown Milwaukee and offers panoramic views of the city, fine-dining restaurant options, a 24-hour business centre and free WiFi. 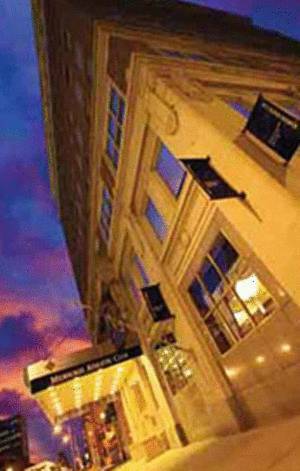 Surrounded by great shopping, dining and cultural attractions, this hotel in the Milwaukee, Wisconsin city centre offers relaxing facilities and convenient services. 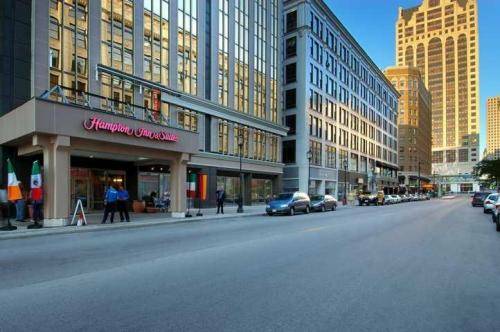 Located in the heart of the Milwaukee city centre, this hotel is 7 minutes’ walk from the BMO Harris Bradley Center, home of basketball’s Bucks. Free Wi-Fi is offered, and each room includes a fridge. 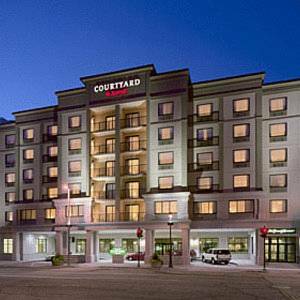 Centrally located in Milwaukee, Courtyard Downtown is across the road from the Grand Avenue Shopping Mall. Rooms at the Courtyard Milwaukee Downtown include free wired internet connection, a 27” flat-screen TV and a coffee maker.